Koffeetech educational institute of technology is a leading provider of Digital Marketing training and first to start in the area with fully equipped infrastructure and providing quality certifications. We also offer customized Digital Marketing and Web Development training programs for corporates to scale up their businesses. 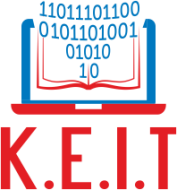 KEIT is a professional training institute dealing with trainings for Digital Marketing, Web Development, Android Application development, located in Mumbai. All our courses are designed by industry professional and as per the needs of corporates and to meet the industry requirements based on latest technologies. We believe for real life practical trainings and help students to work on real life project and assignments to gain experience of real customers and requirements of clients to be met accordingly. At KEIT, the USP is Think Technical, Work Practical. KEIT conducts classes in Ajax Training, Bootstrap and CSS. It is located in Naigaon, Mumbai. It takes Regular Classes- at the Institute and Online Classes- via online medium.